To talk about Gaidar’s political legacy, RT turned to his opponents, former editor in chief of the major communist newspaper “Pravda”, Viktor Linnik and a former member of Russia’s Communist party, Vladimir Semago. RT: Could you briefly express your opinion about Gaidar’s policy in the early 90s? What is his significance for most Russian people, as well as for the country’s politics and economics? Vladimir Semago: I have certain grounds to be totally against his views and policy. And I always was for a smoother approach, Chinese style. However, what made Yeltsin believe this person was his profound knowledge of economics, science and philosophy. 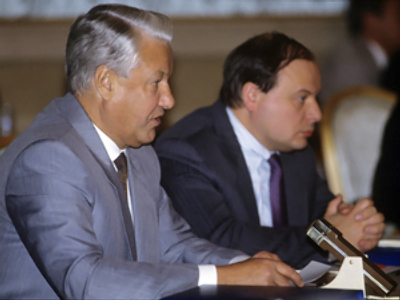 He was much more knowledgeable than anyone else among Yeltsin’s advisors. That’s what made Yeltsin believe in the consistency of this idea and that it would really help change the situation in the country. 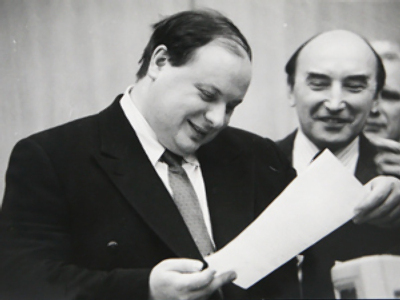 The problem was not only in Gaidar, who believed he could do it on the basis of his academic and political experience, but also in Yeltsin, who sincerely – and I would like to put special emphasis on this – wanted to pursue a policy that would help the country get out of the political and economic crisis and build a completely new economic and political system. That’s why he jumped at Gaidar’s ideas. No one else was brave enough to make it to the very end at that time. Even Yavlinsky, who was then Gaidar’s competitor regarding all the economic issues, was less persistent and less appealing to Yeltsin in terms of a revolutionary spirit. Gaidar, believe it or not – today he is not very convincing in this respect – used to be a real revolutionary, perhaps even more of a revolutionary than the classic type – that of Chubais. So, it was his revolutionary approach that did its work … his emotional charge. Viktor Linnik: A lot of Russians will remember him as the author of the so-called “shock-therapy” in the early 90s. Many characterized those reforms as “all shock and no therapy”. A lot of Russians will obviously remember him as the guy, who robbed them of their life savings. Let’s recall the amount lost as a result of his reforms – it was 300 billion Soviet rubles, which today amounts to, perhaps, 3,000 billion rubles, which is a rather substantial amount. Obviously, many in this country will remember him as someone, who took their money away. RT: So, it looks that despite your critical attitude to the policy he pursued and to his reforms, you appreciate some of his personal characteristics? VS: Well, that’s probably the case of praising the folly of the brave. But I would not like to praise him. 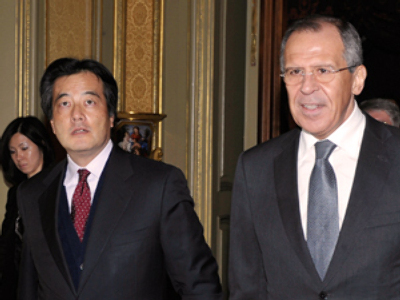 What I am trying to say is that Gaidar did not mean anything bad. He was not a devil or something in those unfortunate times. But he was a person who did not think much about the possible consequences of his steps and had enough courage to take those steps. Another question is whether they were correct or not – and this means discussing the circumstances rather than the person. VL: Well, I personally think he fully and very well realized that somebody had to bear the brunt of those reforms. 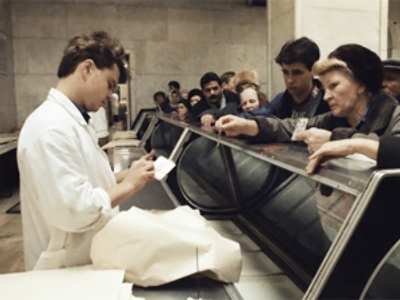 There is a virtual consensus in the country, just like it was back at the time, that the Soviet economy was in need of a thorough change. But the shape those reforms took obviously came as a very severe blow to most of the population of Russia. RT: And could you point out any advantages of his policy in terms of its consequences? VS: There are not that many advantages. His trust in what he was doing is an advantage. But there were quite a number of flaws in his policy. And this brings me to the most important thing – he was not a politician at all! Gaidar could never change his identity as a bench scientist. He never identified himself as a practitioner. The worst thing is that corruption dates back to Gaidar’s rule, as certain people came to power at that time. I am absolutely positive about the fact that the concessions made to businessmen who were also involved in politics and the first moves towards corruption and connivance were made at that time. He triggered the disaster of the 21st Century – corruption. VL: I think that, by and large, he was the one who accepted the responsibility for reforming the Soviet economy. I think someone had to do that. He said that regardless of who this person could be, he would end up before the firing squad for doing this. In that sense, I think, it took a lot of courage to carry out those reforms, or to even start them. So I think that giving a start to those reforms, albeit in a very wrong direction, was his service to the country. One more thing – I would think it’s important to emphasize here that he was a typical product of the Soviet system. Actually – of the Soviet elite, if you will, because his grandfather was a very popular writer who was extensively published in the Pravda newspaper; his father was a member of the Editorial Board of Pravda for 20-odd years, and Yegor Gaidar himself was a member of the Editorial Board in the late 80s, as well as Chair of the Economics Department of the newspaper. So, in that sense, he was, like I said, a quintessential product of the system – a system that he knew very well as an insider, and thus could see a very urgent need for reforms. RT:Many liberals, Gaidar’s associates and supporters, say at that time in the 1990s, the country was on the verge of total disaster, and at least the government managed to prevent hunger, a civil war and other disasters. What do you say to this? VS: At that time we probably could not fully understand the scale of the disaster. And Gaidar pushed the country towards it. But it was not all that horrible. The country fell down on its knees and stayed on its knees for a certain time. Then gradually it changed its position in terms of economy. So we learnt how to get up from our knees. As for the steps themselves, I am saying it again that when those radical steps were taken by Gaidar and approved by the president, there were people in academic circles who suggested the optimal solution of getting out of the crisis. Gaidar did not want to hear anything about it, because he had a radical view. He was a person who believed in shock treatment and that its minimal use – as was the case in Poland – could benefit the country. But it’s impossible to do it in Russia, because it cannot be done on a small scale. His mistake was an attempt to use the experience of smaller countries on Russia, which is impossible. RT: Could you call Gaidar a controversial figure in the Russian economy and politics, or is he definitely a negative figure and there is nothing controversial about him? VS: As we have clear-cut criteria for a totally negative figure, keeping Hitler or Pinochet, or Judas from the Bible in mind, Gaidar is rather a controversial figure. I am saying this not because one should speak well of the dead. I am saying this because it is true. His wish to benefit his country by using his personal resources and the fact that he brought harm to his country instead – that’s the irony of the whole situation. VL: I think he will go down in history as a very contradictory and, in a sense, a tragic figure. That’s because he accepted that role of a scapegoat, being one of the first reformers in Russia.